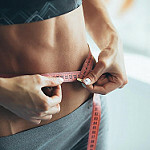 If you've been trying to lose weight, you may come across or even have considered the procedure called liposuction. Deemed as one of the most popular cosmetic procedures, liposuction refers to the process of removing fat in certain regions of the body. Some of the most common treated areas are the buttocks, thighs, and abdomen. Liposuction has been around for over 25 years. However, even if it has been performed for decades, it's still like other surgical procedures; it comes with certain risks. As its name implies, cool sculpting is a procedure of eliminating fat through cold. It uses a controlled cooling method for freezing and removing unwanted fat cells from the body. This can be an option for those who wanted to get rid of excess body fat but don't want to get under the knife. Every session usually last about 1-2 hours. During the treatment, you may feel intense cold sensation but this usually dissipates after a few minutes. LipoSonix is a noninvasive treatment that uses high intensity ultrasound to get rid of fat cells on the surface layers of the skin. A LipoSonix treatment session usually lasts about an hour. Patients may experience moderate to high levels of pain. However, this treatment can provide noticeable results in one session alone (many experienced a reduction of 2.5 cm in their waistline). It usually takes about 8-12 weeks to see significant results. UltraShape is another noninvasive way of getting rid of fat cells. It uses pulsed ultrasound for destroying the membranes if the fat cells while keeping the surrounding blood vessels and nerves intact. This usually lasts about an hour and it's very rare to feel any discomfort from it. Most of these treatments require little downtime. For better recovery, it's highly recommended to follow the doctor's advice post-treatment, including follow up treatment sessions.